I am not ashamed to say that I am a sorority girl. Not just a sorority girl, but a Delta Delta Delta. Sure I am not in college anymore, but Delta love will always run through my veins. I dedicated four years of my life to a group of woman and the ideals that we held dear. Some of you will be going alum this weekend. An exciting and scary time. I remember when I was graduating, but not only was I finished with school, I was moving on from what had become one of the closest families I had ever known. I know a lot of people don’t get why a girl would join a sorority and “pay for her friends”. As one of my sisters likes to say, “If I paid for my friends, I surely didn’t pay enough”. For four years I formed the tightest bonds I can imagine with some of the strongest, most amazing women I know. Those women have shown me what true friendship means. They have been there during the most wonderful parts of my life and held me together when I was completely broken. They have made me laugh when all I wanted to do was cry and made me cry from laughing so hard. I would not be the person I am today if not for the women I spent college with (and continue to meet each year through helping with recruitment). When you are nearing college graduation, your whole life seems to lie ahead. As exciting as that was for me, I was heartbroken at what I was leaving behind. I remember my Omega Week so clearly. It was filled with so many stories from the previous four years, a lot of laughter and equally as many tears. They good news is, it isn’t really over. 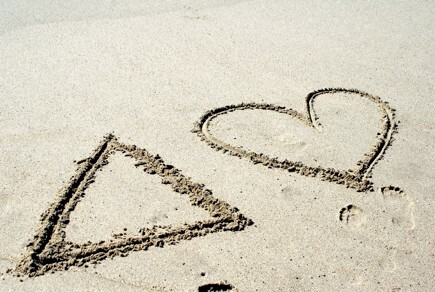 I can attest to the fact that Tri Delta is a lifelong commitment. You’ll live with your sisters in apartments, you’ll meet for big group happy hours, you’ll meet alumni older than me that will share their stories, you’ll meet alumni from other schools, you’ll see a pearl, pine, pansy or dolphin and smile. Tri Delta will always find you. Whether you join your local alumni group or start a local happy hour group of your own, the bonds you formed in college will never be far. And if you’re like me, you won’t be able to let go anyway. For those of you celebrating this final week as an active member, I encourage you to soak it all in. While you will always have a home in Tri Delta, there really is nothing like living in Mountain View surrounded by your best friends, borrowing clothes from your sister down the hall, dancing to music while you get ready, studying together for a big exam, huddling together during 2 AM fire drills (I know it doesn’t seem like you’ll ever miss this, but trust me, you will), celebrating the engagement of a sister, crying together over the loss of one and just being there for each other, no matter what. Tri Delta doesn’t stop after you graduate. Really, it’s only beginning. As any of you reading this probably know, I not only consider my alumni friends a big part of my life, but also the active members of the chapter. I have gone back whenever I can to mentor and assist the current chapter members. Pansy Brunch is like watching my kids grow up. I remember all of your names from a bid list four years ago. I have seen you learn from stupid mistakes, talked boy problems with you at midnight (or 3 am) while we set up for the next day of recruitment, talked you through your Delta story for pref night, seen your incredible creativity shine, watched you turn into leaders, talked to you about your struggles and celebrated your successes. I have watched you and the whole chapter come together during a time of sorrow when you lost Maggie. I have never been so moved or inspired. I don’t know each of you as well as the next, but I know one thing about all of you: You are all incredible women with bright futures ahead. 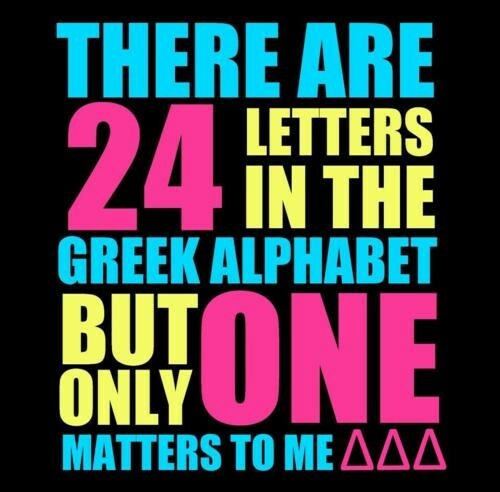 Tri Delta would allow nothing less. You’ve blossomed from pearls into pine trees and now into pansies. These next few years will be filled with new fantastic memories and some struggles as well. Remember, you always have these women to pick you up if you fall and I hope you know, you always have me too (I say it every year, let me know if you need letters of reference or anything). On behalf of the chapter, thank you for pouring your heart and soul into Tri Delta for the last four years. On behalf of the alumni, welcome to life as a pansy! We are so happy to have you! Click to see some of my memories from my years in DDD!